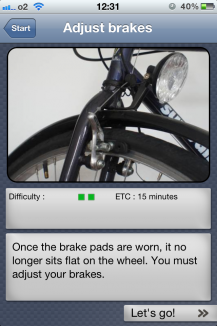 Use your bike a lot, do you? Well, then this app will be your wonderful new companion. 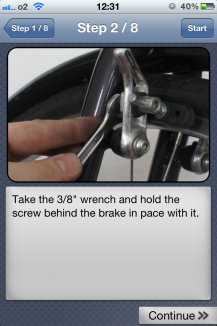 Your brakes are loose and you don't know how to fix them? Your chain is stuck or jumps out every couple of feet? That's no problem for you now. 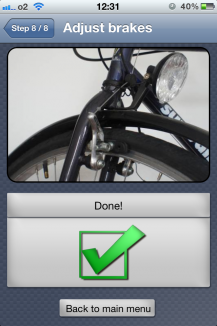 With the Bike Repair app, you can repair your bicycle in no time. 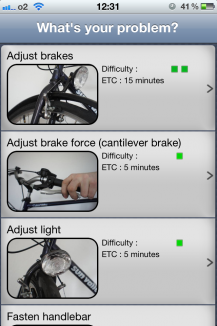 Step by step, this app explains how to fix your bike. 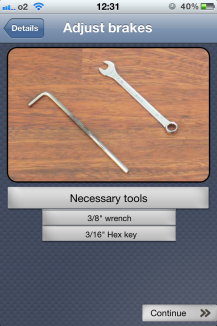 Whether it's your chain, or your brakes or just a flat tire, you'll have no problem with any of these from now on.